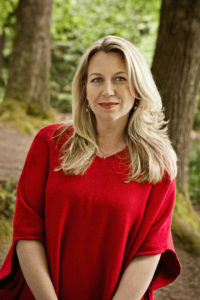 Dear Sugar author Cheryl Strayed dishes out extraordinary advice about Love and Life for ordinary people. When I first considered creating this site, I thought I’d feature John Steinbeck’sGrapes of Wrath, a novel that definitely caused me to see the infinite beauty behind tragic appearances. But then I read Cheryl Strayed’s Tiny Beautiful Things—Advice on Love and Life from Dear Sugar (Vintage Books 2012). Changing my selection was a no-brainer. Dear Sugar is a compilation of Strayed’s advice columns, many of which originally appeared on TheRumpus.net. Some pieces are new. I bought the book because I am a fan of Strayed’s memoir Wild and was curious. If any of you read my blog about the movie, Wild, you will know that after I saw it I couldn’t stop crying for days. I cry easily so nobody who knows me is surprised when I say something made me cry. (I’ve got the weepy gene.) Still, I didn’t expect to get teary while reading an advice column, for god’s sake. There is a literary richness to Dear Sugar that I have not found in other advice columns, although some of them are interesting, such as New’s and Review’s “Ask Joey.” But even that thoughtful writer doesn’t come close to the smart, poignant–and sometimes profane– writing of Sugar. The piece that sends me in search of tissue every time I read it is “How You Get Unstuck,” The question was sent in by a woman signing herself Stuck, whose unborn daughter died at the six-month plus mark of Stuck’s pregnancy. The writer blames herself, in part, because her doctor zapped her with guilt about being overweight, which may have contributed to an unsuccessful environment for the fetus. If she stopped there, Sugar’s words would certainly begin to soothe a suffering heart. But she delves deeper, deep enough to fill seven additional, unforgettable pages. The take-away of the peace is so strong, so practical, so helpful, that I intend to keep it in my breast pocket for reference. Dear Sugar the will remain on my library shelf always. If you would like to win a much loved and very gently read paperback, please Contact me. Be sure to put WIN SUGAR in the topic line. 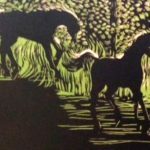 Artist, educator and horsewoman Penny Scribner has graced us with this site’s first Your Story. And what a story it is–a moving reflection of one woman’s lifelong love affair with horses, and the difficult decision that changed her life. Raised in horse country, Penny now divides her time between the Northern California foothills and a small town in Wisconsin. Check out Penny’s story and her accompanying art work here. If you have an inspirational story you would like us to consider for publication in Your Story, please read our Writer’s Guidelines. If you love movies, you will enjoy www.finerminds.com, a site that features six movies that will change your life. A couple on the list that stand out to me are, One Flew over the Cuckoo’s Nest—the book and the movie, and The Artist. The latter makes me feel happy just thinking about it. And then, there’s the dog.